You are here: Home / Social Media Marketing / How To Use Twitter for Traffic? How To Use Twitter for Traffic? Twitter Traffic mean traffic which I get from Twitter for my blog. Twitter Traffic could be a very good way of taking your blog to next level if you are already using search engine optimization with Facebook & Google+ to drive traffic to your blog or website. Twitter Traffic, just like organic traffic from search engines or referral traffic from Facebook, is free. Twitter Traffic could prove to be the biggest source of traffic for your blog. Why you should give a damn to one more social networking site? I know handling one more social networking site is real pain in a$##. But if you are in online business, then the returns can be so rewarding that this pain is really worth it. 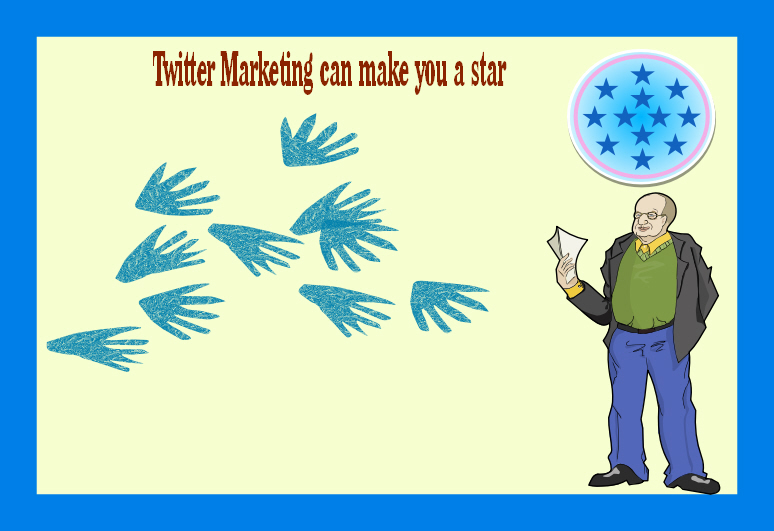 Twitter provides a very good platform to create brand value for yourself or your blog. Twitter is one of the most established and fastest growing social networking sites on earth. As per a recent report, twitter has more than 140 million active users worldwide. On March 21, 2012 Twitter announced that they see more than 340 million tweets per day. It goes out to show the level of engagement people had on Twitter. Twitter has taught a new language to the world. This new language is about speaking about you, your work or company in not more than 140 words and mind you, it has been quite successful in doing that. So just like any other social networking site, engagement is critical on Twitter too. So let’s go through the steps which you need to take to get more and more Twitter Traffic. It goes without saying; your user profile is the most important part of any social media site or campaign. It speaks volume about you, your business and your brand at large. The first step which you should take after creating your twitter profile is to complete your user profile. In fact, if possible try to pick a user name which is related to your niche but again, user name is something which will vary and will have its own personal and professional compulsions so you cannot always make sure but choose carefully. Try to make it spicy and informative. Stay away from junk, I am a cool dude sound nice but don’t try to flood your profile with too many adjectives. Always include information like your blog’s URL and title. It should look professional and cool too. You should give information about your blog, business and your personality. Your Profile is the gateway for Twitter Traffic. I have seen many bloggers making this mistake. They follow too many and all kind of people. You should only follow a particular set of people. These people should be related your niche and it’s better if they are already established in the industry. It doesn’t mean that you should not follow new users like you but limit your following to limited number of people especially in the beginning. Other than searching people in twitter, there is also a very nice way of connecting to the right people in your niche and that is following people through their blogs and sites. If you visit other blogs in your niche, you will notice that most of the bloggers display their twitter profile on their blog. As you visit their blogs, you know the quality and standard of those blogger. So if you are pleased with their work and blog, follow them on Twiiter. Designing your tweets in order to achieve that requires trial and error method because it will always vary with individuals, niche and sometime chance. So play with different kind of tweets, sometime your tweet should be informative with your blog’s URL, sometime questioning something and sometime little more provocative. You should always reply to the messages which you receive on twitter except those who are trying to sell you followers for some dollars. Tweeting regularly is the key to success on Twitter. You can only get noticed if you tweet regularly but it doesn’t mean that you are tweeting everything and anything. Your tweets reflect you; they are like blog comments which you make on other blogs. So use them carefully. If you are in niche marketing then most of your tweets should be related to your niche. You don’t need to target a particular numbers but make sure that you are active on twitter consistently every day for good amount of minutes. No need to spoil hours. Retweets and reply to other’s tweet is a very good way of grabbing attention and making friends on twitter. But again, same rules applied here also. You should only retweet deserving tweets. Socializing on Twitter is another factor which will have huge impact on Twitter Traffic for you. Put a twitter badge on your blog or site. Tell others about your twitter profile though emails and other social networking sites like Facebook and LinkedIn. If you comment on blogs with commentluv plugin, then you also get an option of adding your twitter name so always enter your enter name there. Try to spread word about your twitter profile though all of these platforms. You should also add your twitter profile id in your email signatures which is a very good way of promoting it. Sharing your profile is also one of the best way to get Twitter Traffic. One of the best ways of getting more and more twitter follower is to have multiple twitter accounts which eventually will turn into higher twitter traffic. It doesn’t mean that you should have 100 accounts but try to have something between 1-10 depending upon the nature and size of your business. For an average blogger, more than one and less than five twitter accounts are optimum enough to have enough twitter followers. If you have too many accounts then handling them could be an issue. You should always remember that your target is to bring these people from twitter to your blog and get twitter traffic. So you should keep that in mind while tweeting. In order to successfully do that, you need to engage with them the way you communicate when you interact face to face with someone. So if they can’t see you it doesn’t mean that they can’t feel you. If you are new to blogging or twitter marketing and if you have any question leave your comment and I will try to answer them. In case you have been doing twitter marketing and are able to get twitter traffic,then why not share your tips and tricks.